Las Vegas, NV—OmegaBrandess is now the U.S. distributor of the Belgian sport optics brand Kite Optics and its new photo bag concept, Viato. 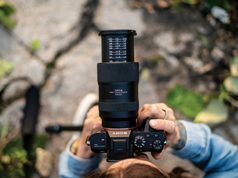 A comfortable carrying solution for essential camera gear, Viato is marketed to nature, wildlife and landscape photographers, as well as anyone who shoots out in the field. Viato is an alternative to photographers carrying large camera luggage with all of their gear in tow. 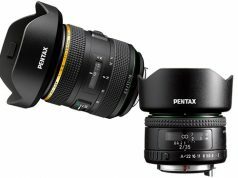 Kite Optics recognizes that it is not practical to take along all one’s camera gear on a one-day hike, and that photographers usually know which lenses, camera body and tripod they will need. As a result, they offer a smaller and lighter carrying system. The Viato backpack uses the inner space of the tripod through a unique patented design. Moreover, it provides 915 cubic inches of storage space. The backpack is sufficient to hold all essential gear for a day of nature photography, bird-watching or hiking. The bag is easily fixed to any tripod. Photographers can use the Viato with the tripod legs and central column extended or retracted. Or they can use it without the tripod as an everyday backpack. In addition, they can keep their camera mounted on the tripod, or safely store it. To protect fragile gear, the waterproof Viato bag has a strongly padded bottom. But there may be no need to ever put the backpack on the ground. Mounted inside the tripod, it creates a table-like platform to work on. In addition, magnets keep the hatches of the backpack open, allowing users to switch lenses or take out a bottle of water, for instance, without kneeling down or putting the gear on wet grass, dusty soil or sand. In addition, the backpack acts as a weight to enhance the stability of the tripod. 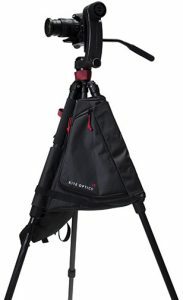 Viato also features a retractable rain cover for the camera or binocular mounted on the tripod. 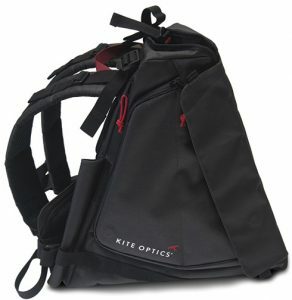 However, the company asserts that its most important feature is the comfort the Viato backpack offers. The bag has a large padded back panel and straps. The panel features a ventilated mesh. 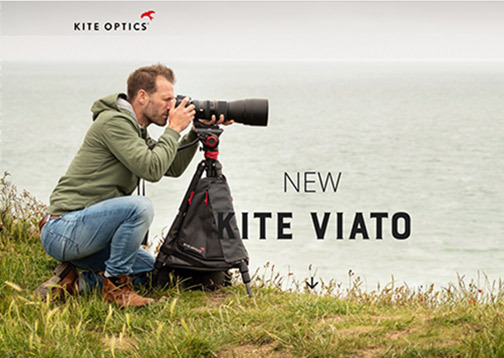 Kite Optics’ Viato backpack will ship to photo specialty stores in late February/early March. 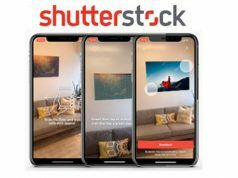 It has a suggested retail price of $219.99. OmegaBrandess has manufactured and distributed photographic and imaging products for more than 75 years. Moreover, a privately held company, OmegaBrandess supplies the photography industry with ten thousand products.